This Sunday, February 10, is a landmark day in the history of the Five Towns and Far Rockaway. 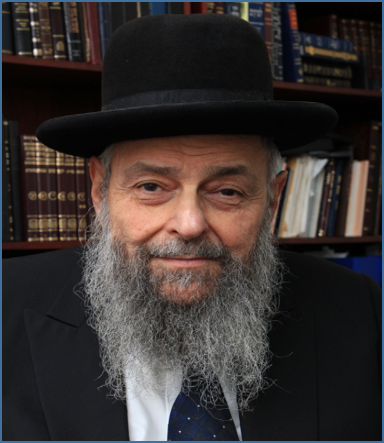 It is the day on which the Yeshiva of Far Rockaway pays tribute and honors the extraordinary and distinguished contribution Rosh Yeshiva Rabbi Yechiel Perr has made over the last half century in creating a makom Torah in our communities. Generations of young men have passed through the doors of Rabbi Perr’s outstanding yeshiva, and they were the recipients of the rosh yeshiva’s expert guidance and direction that made them the talmidei chachamim and outstanding citizens that they are today in communities literally around the world. Of course, Rabbi Perr will tell you himself that he could not have achieved any of this without his menahel for almost a half century, Rabbi Aaron Brafman, zt’l, who passed away less than two years ago. Today the yeshiva has taken its place as one of the great leading institutions of Torah anywhere in the world, and that achievement is largely the result of the perseverance of Rabbi Perr who has steered the yeshiva through extraordinary changing times in the landscape of yeshivas, especially here in the New York area. Yeshiva of Far Rockaway offers a skillful balance between the pre-war European yeshivas and the way we need to preserve those values in these challenging modern times. The proven reality is that few have that ability to balance those competing worlds like Rabbi Perr. Through his force of will and vision that is rooted in the mesorah of Klal Yisrael, YFR has become the great success it is today. His students who today are heads of their own families credit the rosh yeshiva for his inspiring input that led to their personal evolution. “The impact the rosh yeshiva has had on the talmidim of the yeshiva is truly immeasurable. I personally find myself utilizing the principles taught to us by the rosh yeshiva on a daily basis in many aspects of life. For 50 years, the rosh yeshiva has shown true dedication and devotion in molding and developing generations of talmidim who now have the foundation to face the challenges of an ever-changing world. This Yovel dinner is our way, both as talmidim and as members of the community, to give chizuk and express our hakaras hatov to the rosh yeshiva,” said Yochanan Gordon, a graduate of the yeshiva and a member of the dinner committee. Attorney Ben Brafman, brother of Rabbi Aaron Brafman, zt’l, is the honorary dinner chairman for a night of tribute that is well deserved.